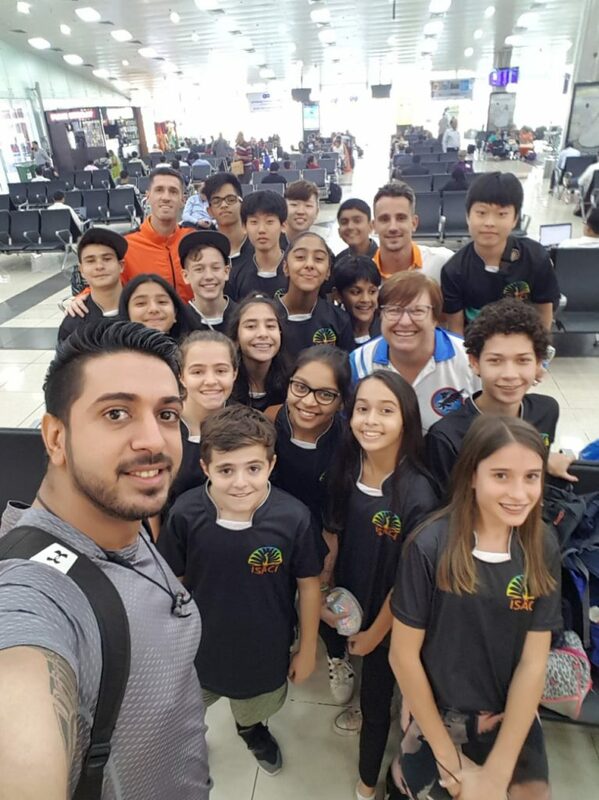 About two weeks ago, MBIS students travelled to Hyderabad to participate in the Middle School Sports Festival. 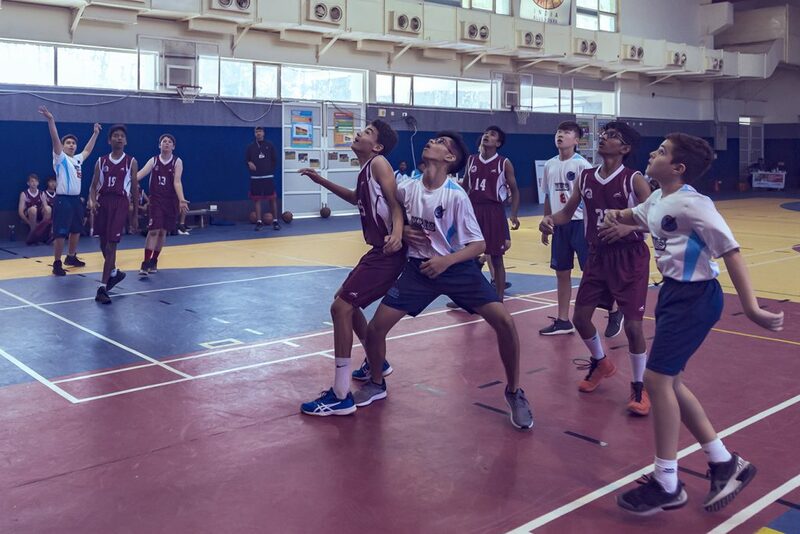 This event brings together 80 students from four schools to compete for top honours in basketball and football. 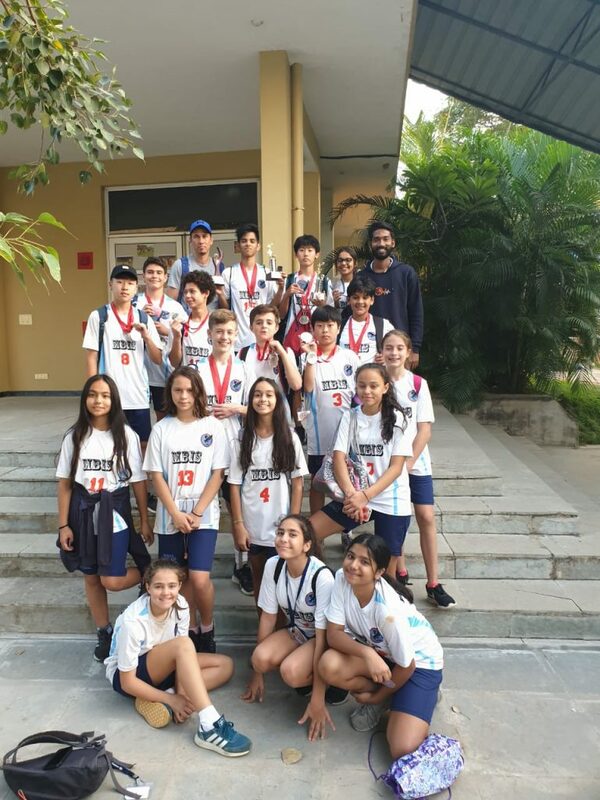 The International School of Hyderabad played host to this annual tournament with Stonehill International School and The British School Delhi also taking part in this two-day sports festival. The girls’ first game was against TBS who had some talented players; it was an encounter full of nerves and simple mistakes that ended in a defeat for MBIS. However, the girls were determined to remain confident and improve their performance in the next game. Tears were shed after their second loss of the day, realizing they had a good chance to hold Stonehill to a draw or even win the game. Despite the setbacks, the girls picked themselves up for the third game and played their best game of the tournament against the eventual winners, the ISH Vipers. The Eagles were fierce in attack and courageously defended their own goal. The game was 0-0 until the last five minutes when an ISH player scored a heart-breaking goal. The girls walked off the field with smiles knowing that on any other day, the outcome could be different. The boys started their day with a big win (5-2) against the ISH Vipers – sweet revenge for losing the previous day the deciding game to determine the boys’ final basketball standings. The Eagles next two games against Stonehill and TBS were tough encounters with MBIS suffering two consecutive losses on the pitch; injuries and fatigue, especially after an intense first day of basketball, played a big role in our team’s performance. But MBIS had enough points (goals scored) from their first game to finish in second place behind The British School Delhi. “The trip was superb! All the boys and girls had an amazing time. Every single game was fantastic to watch, and even afterwards, very powerful was the debrief to understand not only technical aspects but the real meaning of what you learn from every match, either if you win or lose! I was there and I would really suggest other parents to go next time. They are not small kids anymore; we are not there to hand out snacks or water (well sometimes yes, I have to admit it, they forget to drink). We are there for a smile during a difficult game or just to be there and cheer for them. Please find a video link with more photos from the festival.